Twenty-eight-year-old Dean Perez, a police officer on interdiction, is out on bail after his attorney Leeroy Banner was successful in applying for a stay of execution of his prison sentence. On July twenty-fourth, Perez was found guilty of the theft of a cell phone, as well as six hundred dollars in cash from Salvadoran national, Jose Hernandez which occurred in San Pedro back in October 2014. On July twenty-seventh, Chief Magistrate Anne Marie Smith sentenced him to three months in jail. 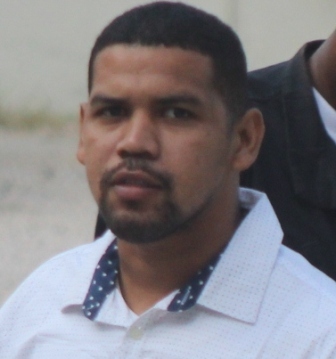 At his hearing, Perez was granted bail in the sum of eight thousand dollars along with certain conditions. Justice Herbert Lord has ordered him to report to the Ladyville Police Station once a week, every Friday effective next week between the hours of eight-thirty a.m. and five p.m. He is also to attend all his appeal adjournments until his case concludes in the Supreme Court.